Phuket is host to quality international schools that offer children educational programmes with instruction in English and international curriculi as well as pre-schooling opportunities. Adventure camps and athletic events complement learning. 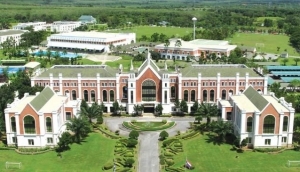 Both day and boarding school programmes and facilities offer children and adolescents increased opportunities to explore the resources that education in Phuket has to offer. Youth tend to find the experience of studying in a different culture rewarding.